yet extremely obscured concerning their meaning. a seal of Solomon kept the Jinn inside. and Father of a great deal of esoteric writings and traditions. between good and evil thorough a deeper understanding of the universe. combined with Hebrew and other images. (Mars, Venus and so on) focusing those virtues. and made to enhance or “seed” those qualities desired. are imbued by the various seals. and several seals are attributed to each planet. (or commissioning) the seal they are interested in. 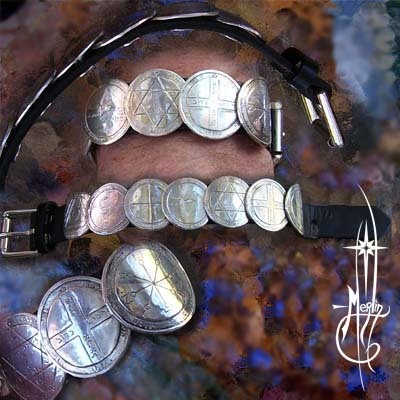 Each seal was made separately with a concho screw in the back. The leather bracelet was punched to allow each seal to be mounted. I carved the seals (in order) to curved and fit snugly around the wrist. all one of a kind work with no mold taken. It currently is being worn by the Gentleman who commissioned it. my brother created paintings incorporating symbols he found interesting. 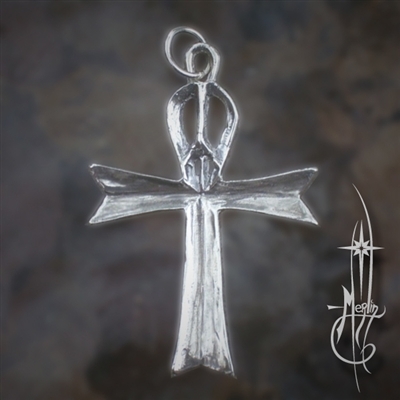 the Maltese cross and the ankh. and it hung on our wall for years. I recall looking at it as I drifted off to sleep. I found the image soothing and offered a sense of comfort. and to all one surrounds oneself with. 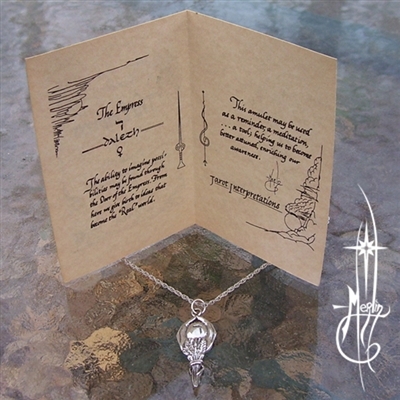 What is an Amulet by Merlin? objects associated with “magic” or “special powers”. however the intrinsic value is the focus here. the use of amulets has expanded. love, trust and a reminder of a promise made. bringer of rain, lucid dreaming, clarity of thought and so on. 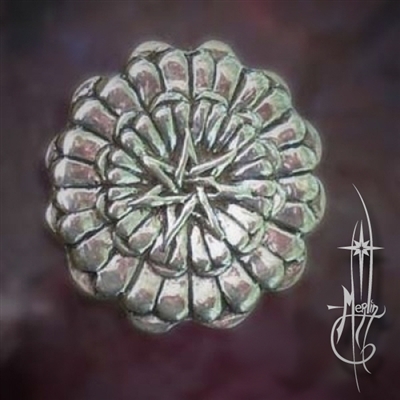 nearly every culture has its amulets and their use. In my own work I began with the Tarot. the fine tuning of a person’s virtue and their lessons. of each of the Major Arcana. 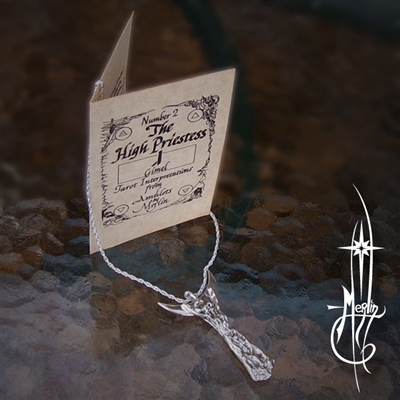 to provide a wide variety of Amulets for many purposes. 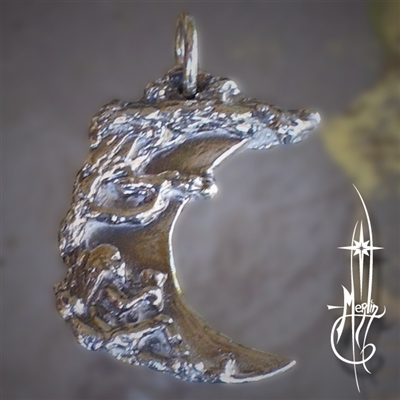 How do I get a piece of jewelry to work as an Amulet? already been targeted to work as an amulet. something that first “reminds” you of the intent. you would find an amulet that would represent fertility to you. 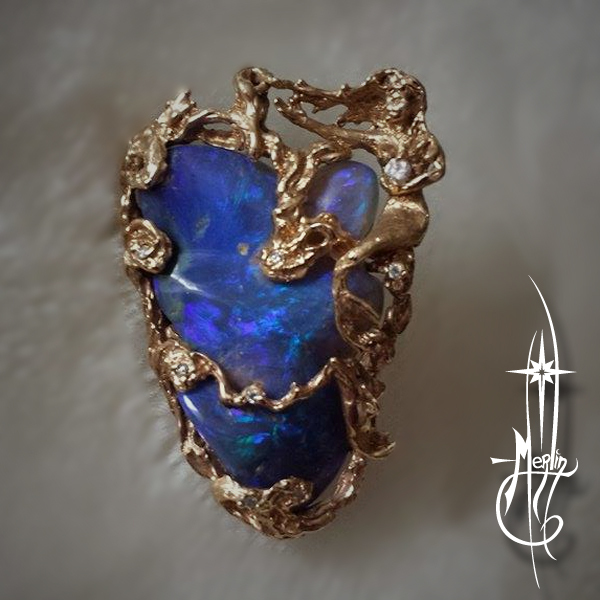 To activate the amulet is simply developing an affinity with the piece. “This pendant makes me feel fertile”. and connect with the amulet you are using. necessary to ignite the “Magic” of the blade. before the enhancement can take place. it does not take the place of real practice and study. giving one more control over what is already there. 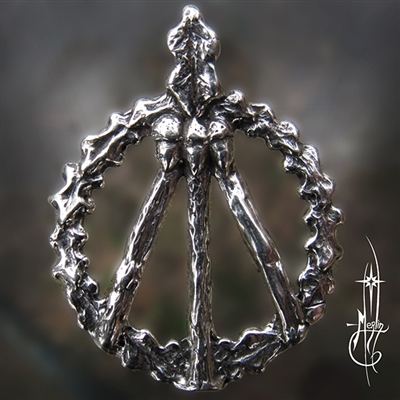 the symbol of the eternal circle and the experience of its presentation at the ceremony. focus purpose or celebrate life. the necessary connection to their desired goal. I then create what they would like. I first “met” Isaac Bonewits in the mid Seventies through the reading of his masterwork: Real Magic. I found the book a breath of fresh air. and thus appreciation of those that are studding the subject. for the opportunity to create something for him. He found my work pleasurable and even purchased the Green Man Amulet from me. I marked that day with pride. For my favorite author to have blessed me in that way was inspirational! I had approached him with the idea to create his designs. and has developed several designs featured in his site. representing Druidism in general and the Earth mother (Gaia) in particular. During one of the elections he developed a Spells for Democracy amulet. and sent them to me for carving.